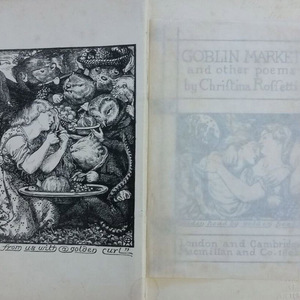 Frontispiece depicting a woman cutting her hair surrounded by animalistic figures (goblins). 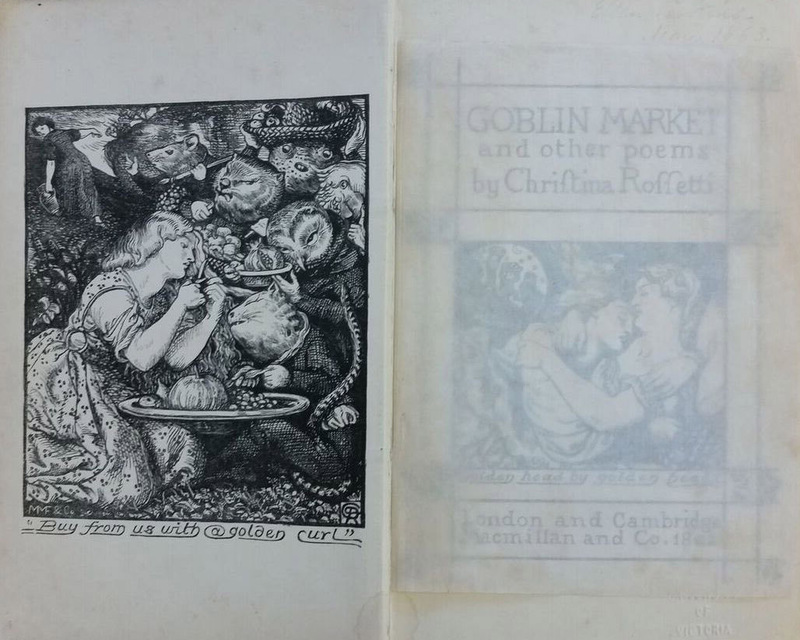 The text below the image reads "Buy from us with a golden curl." 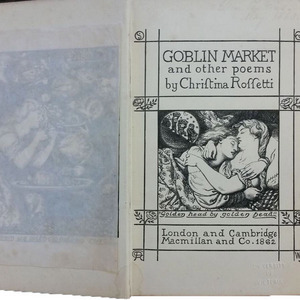 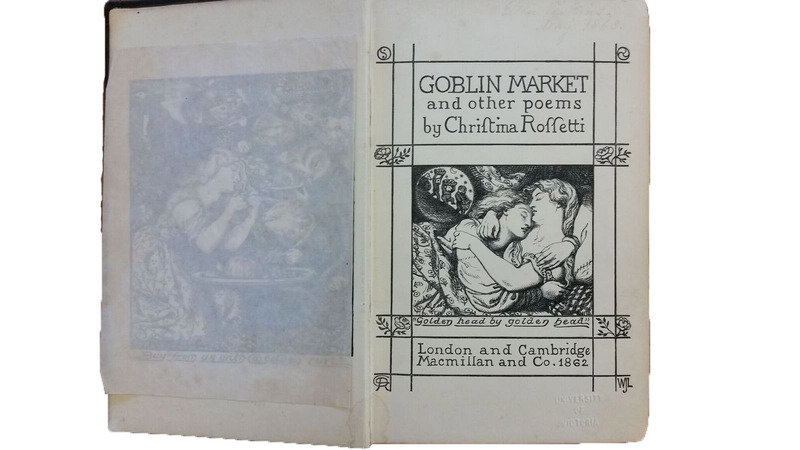 Rossetti, Dante Gabriel, 1828-1882, “Goblin Market Frontispiece,” UVic Libraries Omeka Classic, accessed April 23, 2019, http://omeka.library.uvic.ca/items/show/1576.